We could write blog after blog on the importance of patient satisfaction surveys to healthcare providers and organizations, but it might not mean a whole lot coming from us. Instead, we’ve collected some worthwhile articles for you to check out written by the experts. Six Characteristics of High-Performing Healthcare Organizations – highlights some of the differences in results throughout different types of surveys, including the HCAHPS. Candid Comments Make HCAHPS Results Even More Valuable – discusses the value of open-ended patient comments (something that runs seamlessly with our software). As you can see, don’t just take our word for it. 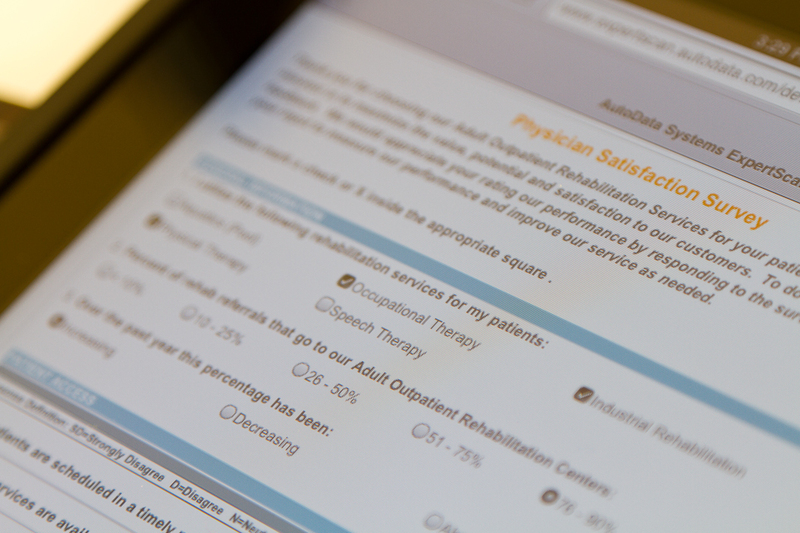 Find out how AutoData’s software can help improve your organization’s patient survey process and more importantly, save your organization money. The above quote is from a recent Health Leaders article titled, “Automation and the Healthcare Cost Curve.” The quote is as true as it is simple: save labor, save money. According to the article, labor costs are ranked as the No. 1 cost driver by 33% of senior health leaders, while 59% put it in the top three cost drivers. The unsustainable rising costs of health care have the industry looking to innovate to drive down costs while at the same time maintaining, or better yet, increasing efficiency. As the article points out, an underrepresented area of innovation in the healthcare industry is automation. This is where AutoData can help. 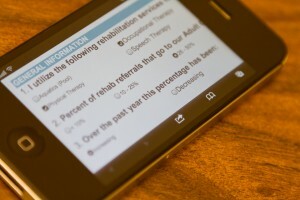 Whether utilizing a simple form designed to collect patient information or a complicated study on bone density, the healthcare industry still heavily relies on the use of paper. AutoData’s software provides organizations the opportunity to scan paper forms into a computer where the information is then automatically placed into an Access database. In other words, AutoData’s software eliminates manual data entry. When manual entry is eliminated, labor costs are saved and efficiency is improved. Lower costs and higher efficiency is a goal every healthcare organization should try to achieve – a goal in which AutoData has been helping healthcare organizations achieve for 20 years.